Vinyl, laminate, hardwood, rubber or ceramic tiles? 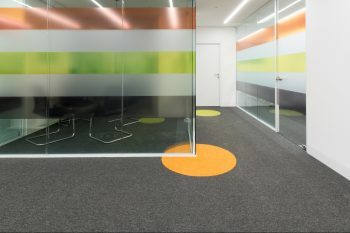 We take a look at the ideal commercial flooring option for your office space. This means considering, service life, traffic levels and maintenance when making your choices. 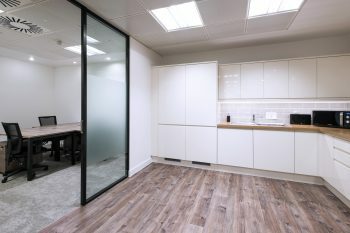 When deciding on the best type of flooring for a modern office space, there are a number of popular commercial flooring options to consider and factors that could make one option better than another. This article may help you when discussing options with clients. Consider the life expectancy of your chosen flooring type, taking into account the traffic it will have to withstand. 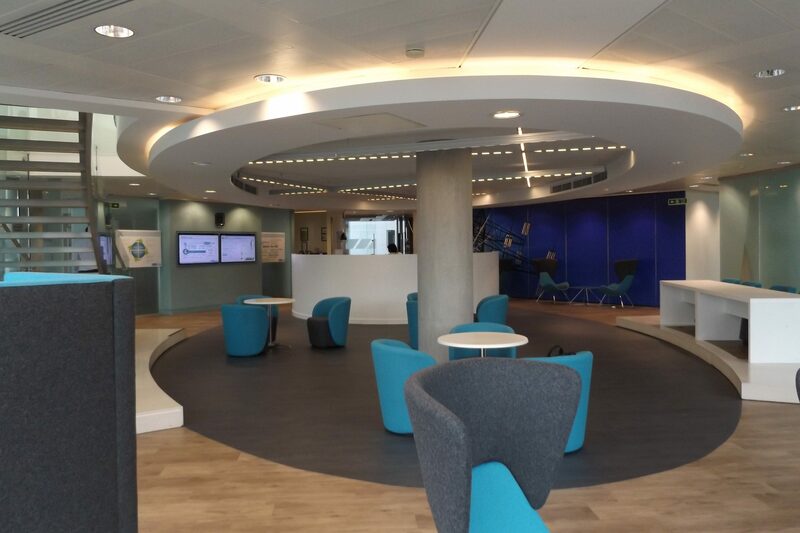 High footfall through the office will need flooring that is robust enough to withstand the wear and tear. In this case Class 33 will be a key requirement. This classification system, which is used for flooring made of carpet, vinyl, laminate, parquet, ceramic tiles, etc. roughly defines what type of room each floor can be used in. Class 32, means that the floors can be used for moderate commercial use, while Class 33 signifies heavy commercial use. The standard requires that the flooring product will last at least 10 years without presenting problems, if used in a designated room type. However, the floor must have been installed according to the instructions and used and maintained as prescribed for this to apply. Be sure to choose flooring that is easy to access should it require repair, with minimal inconvenience to staff and clients. Consider the cost of labour required to maintain the flooring over time versus the installation cost. Some forms of flooring are much cheaper and quicker to have installed than others, so remember to take this into account when looking at your available budget and practical downtime. The cost of your choice of flooring material should be weighed up against ease of maintenance and life expectancy; cheapest is not necessarily the most cost-effective in the long run. Carpet and carpet tiles are ideal for businesses that require noise insulation and they can help to keep the environment warm too. Tiles are more easily and cheaply replaced when damaged and can be more hard-wearing. This often makes carpet tiles a more sustainable option over broadloom. Vinyl flooring is a popular form of commercial flooring due to its longevity and hard-wearing performance qualities. Vinyl is perfect for office premises with high foot traffic levels as it is resistant to damage, such as dents from heels or scratches from dragged furniture. It’s also easy to clean and requires minimal maintenance. Rubber flooring is also very hard-wearing and suits environments where resistance to heat and water is important. It’s slip-resistant, easy to walk on, and sound absorbent too. Hardwood flooring is stylish and gives an office a classic, executive feel. It’s very durable although it can be damaged by water. The main drawback of hardwood flooring is that it is usually the most expensive flooring option. Hardwood can also be slippery if it is over-polished. Laminate offers a cheaper alternative to hardwood, ceramic tiles or stone. Laminate is simple and cheap to install and is very resistant to dents and scratches, also being resistant to water damage. Laminate is available in many different varieties of hardwood and stone effects and can still give an office a very natural looking appearance. Ceramic tiles can be a good flooring option for an office where water damage could be an issue. Although tiles are easy to clean and maintain, and they do last a long time, they can be problematic to replace should they become cracked, and they tend to lack the noise insulation properties of other flooring options. Tiles would be best-suited to an office in a particularly warm building as they tend to lack the warming qualities of vinyl, rubber and carpeting. In addition to above considerations, it will be important to consider the overall look and feel you want to achieve and the main purpose of each room. Acoustics, health and safety, and creating the right atmosphere will all impact on choice of flooring.